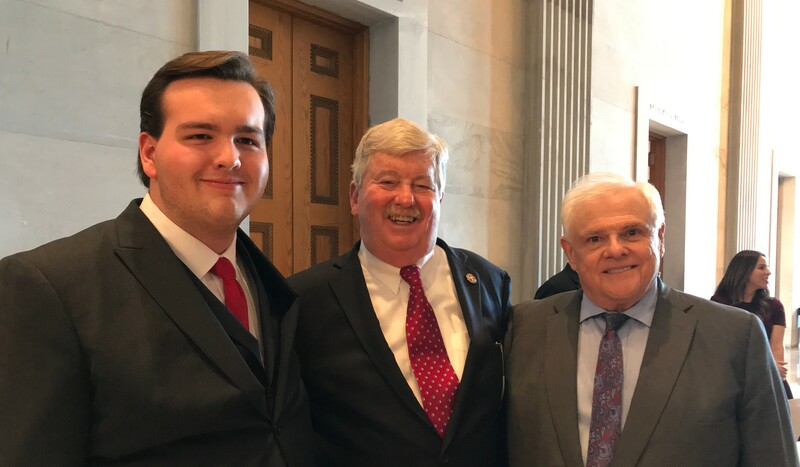 (NASHVILLE) – Last week State Senator Ken Yager (R-Kingston) had the youngest county commissioner in the state, Eli Anderson, as his page on the Senate floor for the first day of the 111th General Assembly. Anderson, age 18, is a senior at Wartburg Central High School and represents the sixth district on the Morgan County Commission. Anderson’s duties as a Senate Page consisted of anything from making copies, running errands, to distributing legislative information to members of the General Assembly.